Cabaret Boom Boom returns to The fabulous Town Hall with their regular comperes, Maynard, Herbert and Lodge,’ acting like Idiots’, with special guests.. 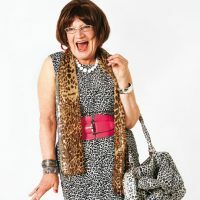 Direct from The Peaks, Hattie is a big friend of Cabaret Boom boom. 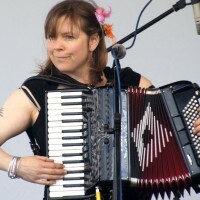 She has played gigs, cabarets and festivals all over the UK and Europe for over 17 years, including long stints in the UK, Netherlands, France, Portugal, Germany and Switzerland. Years of experience busking and gigging has seen her grow into an excellent songwriter and a relaxed, funny and engaging performer. Trixie Von Maynard, international Idiot and Foolesque originator, Trixie will tempt and tease you with one finger in your ribs.